Thankfully, our long, national nightmare is over. 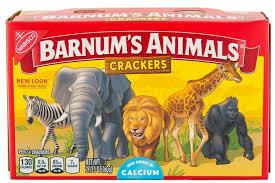 Nabisco has finally done the right thing and un-caged the animals from the design of their box of Animal Crackers. The move comes after a well-publicized lobbying effort on the part of PETA. In true fashion, the move just isn’t enough. It’s never enough. And this, in a nutshell, encapsulates everything that is wrong with the modern left and their way of thinking. The picture on the left shows the box of Animal Crackers as we all remember them. The picture on the right shows the new design. These glorious creatures are now roaming free, presumably unaware that they’re going to be eaten pretty quickly but still, free nonetheless. Normally, this would be a relatively ho-hum “news story.” I mean seriously. Who cares? In fact, if anyone cared to think about the box design of a snack food, I’ll even bet that most people would agree with the decision. After all, circuses and zoos don’t have the greatest track record when it comes to ethical treatment of animals. But, of course, it’s never enough. What’s even better is that the author is actually related to the original designer. In a fact that has nothing to do with the issue at hand, (the issue is that people on the left are batsh*t crazy), we learn that the box’s original designer was her great-grandfather’s brother. None of this, however, strikes at the real heart of the problem with Animal Crackers and that is the box simply doesn’t do enough to address the elements of capitalism and greed which brought us to this point. “This point” evidently being a time when we’re sufficiently woke to demand that a snack food company change the 100+-year-old box design of one of their products because it’s a little mean to animals. If I have any message for those “on the left” so to speak, it’s this: please stop being crazy. Any good you accomplish is quickly overshadowed by (I hope) fringe elements who go a little too far. For the love of God, take the win every now and then. Not everything is an Everest that needs to be scaled. And when you do manage to scale Everest, you don’t need to create a new mountain to put on top of it. You’ve made it to the peak. you’ve won. Take the win. Let’s suppose you had come to me a few weeks ago and said “Hey, putting animals in cages isn’t cool. Don’t you think we should change the picture on the Animal Crackers box and let those creatures roam free?” In fairness, I would have laughed at you then too, but not as much as I am now. Not everything is racist, sexist, bigoted, homophobic, trans-phobic, Islamophobic, misogynistic, hateful, mean-spirited, angry, privileged, or a result of the evil failings of capitalism. By the way, spellcheck doesn’t recognize the un-hyphenated spelling of trans-phobic as a word. I’m sure the patriarchy is to blame somehow and we should boycott WordPress. See you at the next march. The point is, it’s a box of cookies. Relax. Not everything is a battle. In fact, you’ll be a much happier person if you don’t view the entirety of society and culture as a power struggle, a battle, or a war. And you know what? If you DON’T act crazy like this then far more of us will be on board with your ideas that are not insane. When organizations with a noble purpose, such as the ethical treatment of animals, descend into lunacy they lose the support of normal, sane society which would otherwise support the broader stated goals of their organization. Of course, it’s never enough. 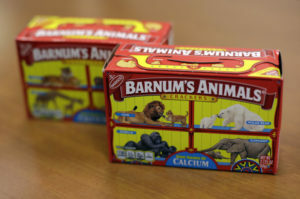 And it’s not enough for Nabisco to decide that removing animals from cages IN A PICTURE ON A BOX is a good idea. There’s always more that has to be done. More norms that need to be overturned. More ways to try and guilt or shame people into modifying their behavior for the good of what? Exposing the greed of capitalism? 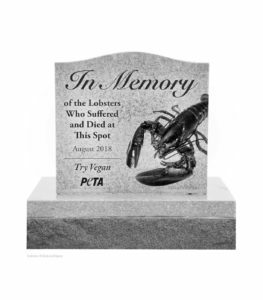 Honoring tomorrow’s lobster bisque that died today? We live in a world with real problems and I understand that sometimes making small strides is a way to bring about a broader change. However, some of the hills people choose to die on are really stupid. This is one of them. It is not Nabisco’s job to make a commentary on the evils of capitalism. It’s also not their job to dismantle capitalism. Nor should it be. You know what Nabisco’s job is? To sell snack foods. They do that pretty well. However, there is one area where Nabisco COULD improve. Sometimes you have to BE the change you want to see in the world. I don’t take that burden lightly. I have no interest in seeing Nabisco dismantle capitalism. However, I WOULD like them to stop calling them Animal “Crackers.” Because let’s be honest: they’re cookies. It’s an uphill battle to be sure, but it’s probably easier than asking them to dismantle the system that has lifted more people out of hardship, poverty, and suffering than the entirety of all systems conceived by humanity in history.